Here at Brightway, Oceanway, we’re committed to providing you the best insurance-buying experience possible. With our extensive selection of policies and providers to choose from as well as unparalleled service after the sale, we make it easy to get the coverage you need at the price you want. Our agency is led by Frank Lullo, an agent with more than 30 years’ industry experience as a business owner. Here, we take the time to develop a relationship with you so we really understand your needs. If we can answer any questions about Home, Business, Life or other types of insurance, stop by or give us a call. 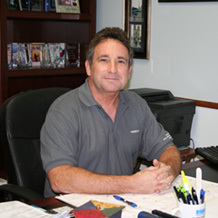 During his long career in the insurance industry, Frank has built a strong reputation for serving the Oceanway area. His clients know they can expect personalized service that is backed by professionalism, sound business practices and an expert staff. Frank received his B.S. in Business Administration from Florida Atlantic University. His greatest motivation comes from his strong family values which are rooted in his more than 30-year relationship with his wife, Maureen. The family also includes their daughter, Shamrin, who is currently studying abroad in Asia on scholarship. 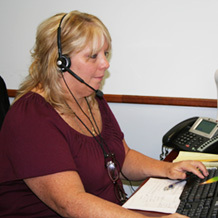 An extremely accomplished Insurance Agent, Robin is proud to be one of Brightway’s respected team members. For most of her more than 25 years in the insurance industry, she has been trusted with many managerial roles. Robin credits her great team for the long-term relationships our agency has with our clients. Shannon Kaczmerowski, Amanda Liddell and Jessica Bigelow perform above and beyond expectations and assist in making the business relationships we build stand the test of time.